A while ago, I received some really cool products from Dr. Mercola to review. איר 'ווע מיסטאָמע געהערט פון דר. Mercola; he is the health guru and best-selling author of many books on nutrition and health. His web site is packed with articles on health, nutrition and ways we can improve our lives and health. He also sells many products – they are not all vegan but some are. The generous people at Dr. Mercola sent me some pea protein which I use in my V-פלייש recipes so that was really great. They don&#8217;t sell it anymore so I won&#8217;t go into it here other than to say it&#8217;s a great product and I hope they start to sell it again. 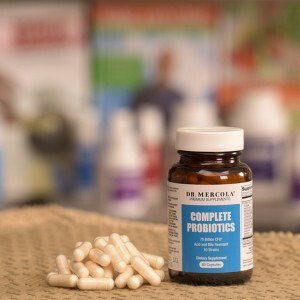 איך אויך גאַט זייער Complete Probiotics which have lots of good bacteria to help with all the junk I eat. I will get into the Organic Greens they sent me. דר. 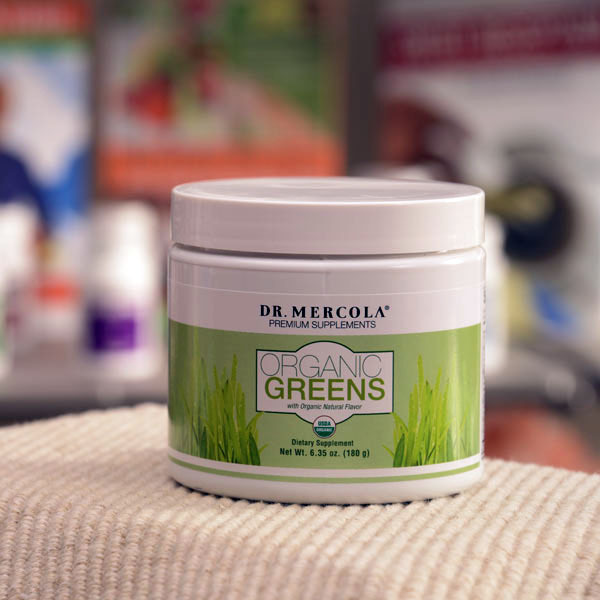 Mercola&#8217;s Organic Greens is what he calls a “green food solution” to help people increase their daily nutrient intake – in case they don&#8217;t eat all the recommended daily servings of veggies. That&#8217;s not a problem for me because I LOVE eating veggies, especially greens. די Organic Greens is a high-quality formula that is quick and easy to use, can be mixed into shakes, smoothies and other protein powder drinks and is sweetened naturally with organic stevia extract. What&#8217;s in it, איר פרעגן? What&#8217;s not in it is more like it. It has powdered forms of organic veggies such as carrots, בראַקאַלי, שפּינאַט, פּעטרעשקע, kale and beets. It also has a bunch of organic cereal grasses including wheat grass, barley grass, oat grass and alfalfa grass. טאָן: דר. Mercola states his Organic Greens has been tested and found to be gluten-free. If you have celiac disease or allergies, I would suggest asking your physician about whether you can eat wheat grass and/or barley grass. It has an organic mushroom blend to help support your immune system. It has an antioxidant blend with green tea, matcha tea and apple extract. It has adaptogen ingredients maca root and rhodiola as well as superfoods chlorella and spirulina. And it&#8217;s all non-GMO. It sounds incredible, רעכט? נאָך, the container sat in my kitchen unopened because I wasn&#8217;t sure what I was going to do with it. 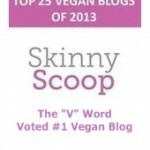 If you keep up with my blog, you know I&#8217;m not a health nut. איך האָבן 2 smoothie recipes out of hundreds of recipes and not one juice recipe. Because I would rather eat my greens than drink them. That&#8217;s just me. But when St. Patrick&#8217;s Day rolled around, I thought this would be the perfect way to use my Organic Greens. האָנעסטלי, I tried the day before by making chickpea omelets and added the Organic Greens to the batter but the turmeric was too strong and the green color didn&#8217;t show up. טאַקע געזונט. I thought about what other foods I could turn green and then thought of rice. Now I always cook with brown rice so the results would have been even greener if I had used white rice. So I open the container of Organic Greens and I&#8217;m not gonna lie, it smelled like fish food. נאָך אַלע, it has algae in it. I was scared, Tom was scared. People just mix this into water and drink it? I&#8217;m green with envy at that type of discipline. 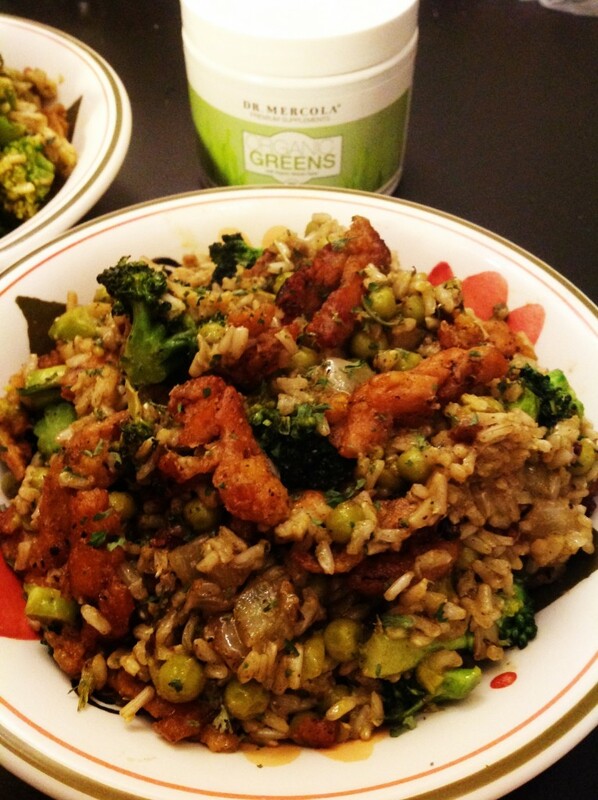 I mixed a spoon of the greens into the rice but I was worried it wouldn&#8217;t look green enough so I put some more. I also didn&#8217;t want to put too much and have it taste too green. יאָ, there is such a thing. When the rice was done, it smelled less fish-foody and more grassy. When it was mixed with the veggies, בשמים, herbs and soy curls, it actually tasted creamy like a cheater risotto. אין די סוף, it was delicious and everyone loved it. There was no “green” aftertaste and the smell was much gentler once it was cooked with all the seasonings. It was a perfect St. Patrick&#8217;s Day dinner and also perfect for spring. אַ דאַנק, דר. 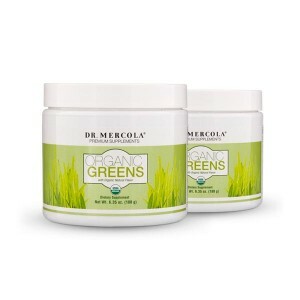 Mercola, פֿאַר די Organic Greens, אַרבעס פּראָטעין און Complete Probiotics. Everyone, go check out the web site and see what other vegan products they have to offer like their Vegan Chocolate Bars און Vegan Protein Powders. If you love green drinks, גיין פֿאַר עס. Mix these Organic Greens in water or your smoothies but if you&#8217;re more like me, make my Super Green Rice with Veggies and Soy Curls and mix healthy with a bit of decadence. Enjoy and Happy Spring! 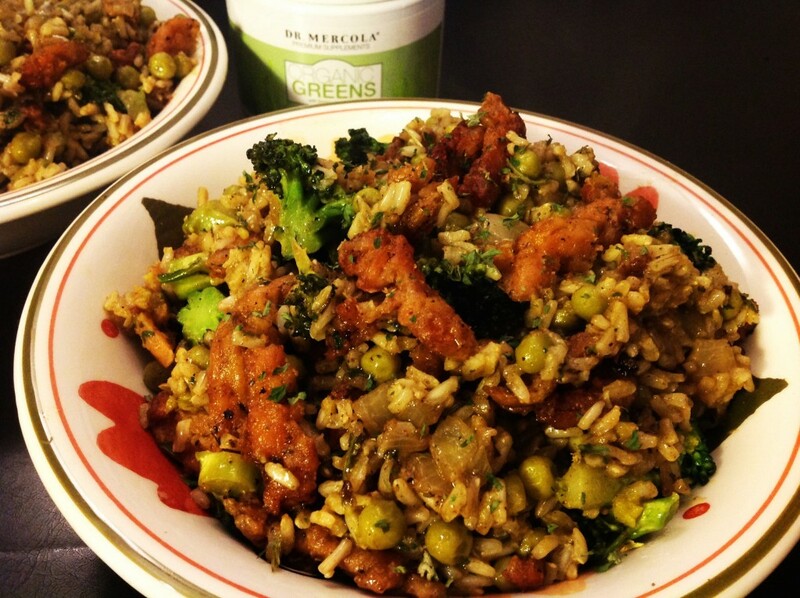 Add the rice to a medium saucepan and mix in the organic greens. Toast over medium heat for a couple of minutes. Then add the water, cover the pot and bring to a boil. Stir once, cover the pot again and reduce the heat to low. זאל קאָכן פֿאַר 35 מינוט אָדער ביז די וואַסער איז אַבזאָרבד. Turn off the heat and let sit another ten minutes. Fluff with a fork and season with salt to taste. Empty the soy curls into a bowl and cover with hot water. Let sit 10 מינוט ביז סאָפאַנד. Drain and squeeze out any excess liquid. Pat dry and toss with the seasonings. Heat a few spoons of oil in a deep saute pan over medium-high heat. Arrange the soy curls in a single layer and let cook for several minutes until they start to brown. Then flip them and continue cooking, adding additional oil a little bit at a time, if needed. Cook the soy curls until browned and crisp, וועגן 10 מינוט. אַריבערפירן צו אַ שיסל און שטעלן באַזונדער. אין דער זעלביקער סקאָווראָדע, add a bit more oil and saute the onion until softened, וועגן 4 מינוט. Add the garlic and cook another minute until fragrant. Add the bell pepper and saute until softened, וועגן 2 מינוט. Mix in the broccoli, season with thyme and saute until tender. 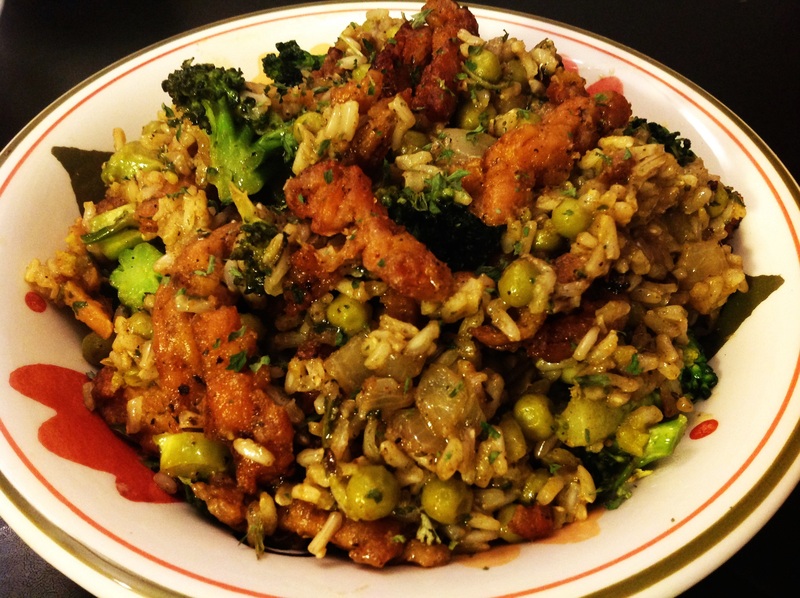 When all the veggies are tender, add the cooked green rice to the deep saute pan and mix. Add the peas in and let them warm through. צייַט מיט זאַלץ און פעפער צו פאַרזוכן. 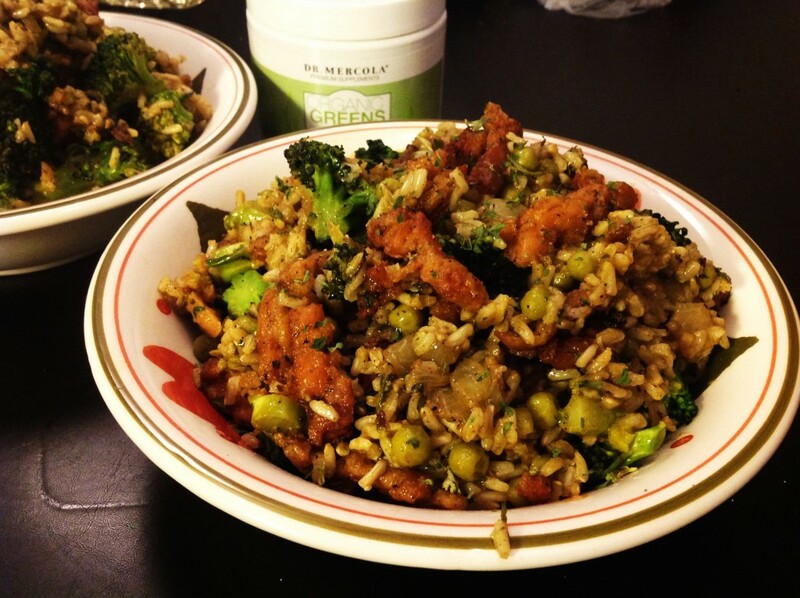 Add the soy curls back in and mix them with the rice and veggies. Garnish with fresh parsley and serve hot. 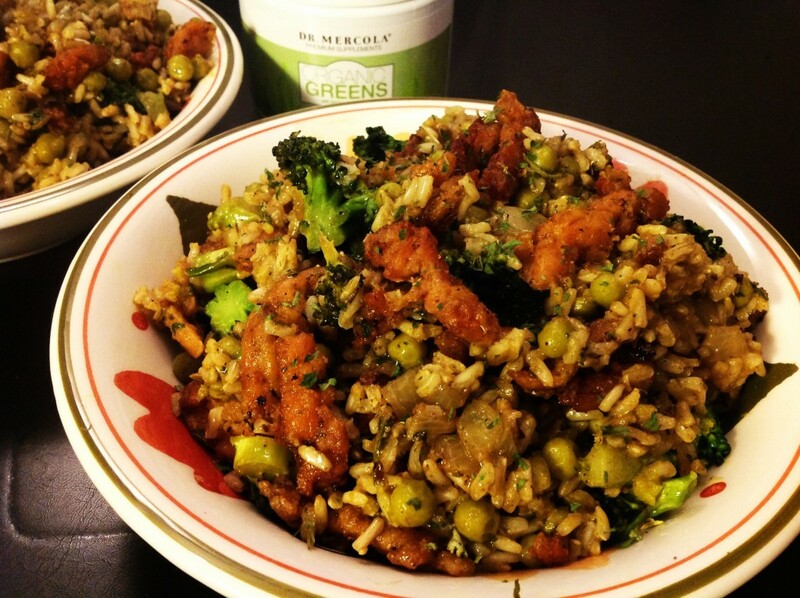 Add the rice to a medium saucepan and mix in the greens. Toast over medium heat for a couple of minutes. Then add the water, cover the pot and bring to a boil. Stir once, cover the pot again and reduce the heat to low. זאל קאָכן פֿאַר 35 מינוט אָדער ביז די וואַסער איז אַבזאָרבד. Turn off the heat and let sit another ten minutes. Fluff with a fork and season with salt to taste. מאַכן מער רעסאַפּיז ניצן גרין פּאַודערז. איך טראַכטן אַ פּלאַץ פון מענטשן וואָלט אָפּשאַצן אנדער ברירה וועגן צו נוצן זיי אנדערע ווי סמאָאָטהיעס. איך בין צופרידן איר האט נישט מישן די גרינז מיט די סוי קערלז. וואָס וואָלט האָבן געקוקט ווי שלעכט “פלייש”. אבער איצט איך בין טראכטן איך זאל פּרובירן די רייַז מיט מיין אַמייזינג גראָז גרינז.